I.D. Images offers sequential barcode printing services. As a leader in the Variable Information Printing (VI or VIP) market, you can trust us to supply you with high quality variable printing. You give us the numbers that you need printed and an idea of the label design and we will give you the preprinted barcode labels. Why Order Sequential Barcode Labels? 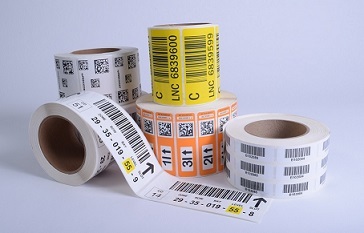 Sequentially printed labels are used to uniquely identify products. Rather than having the hassle of buying labels from one source and printing them with another, we offer the labels and the printing all in house. In other words, we manufacture thermal transfer labels and print on them too. This saves you money and time. We not only print sequentially numbered labels, but we can also print any alphanumeric characters or just a plain barcode. We can print on stock or custom labels and can print on colored or standard white labels. Contact our customer service team for more information about our sequential labels!